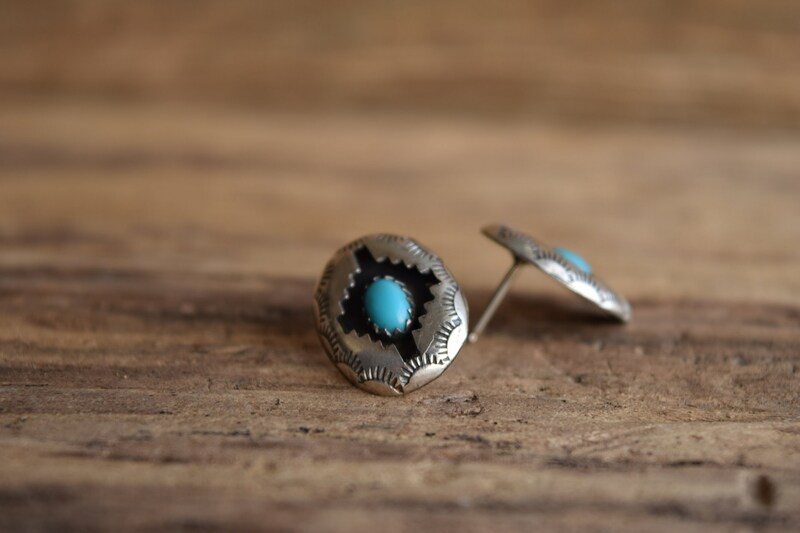 Hand stamped and crafted by a Native American silver smith, these sterling silver shadowbox earrings showcase a turquoise stone and traditional stamping techniques. 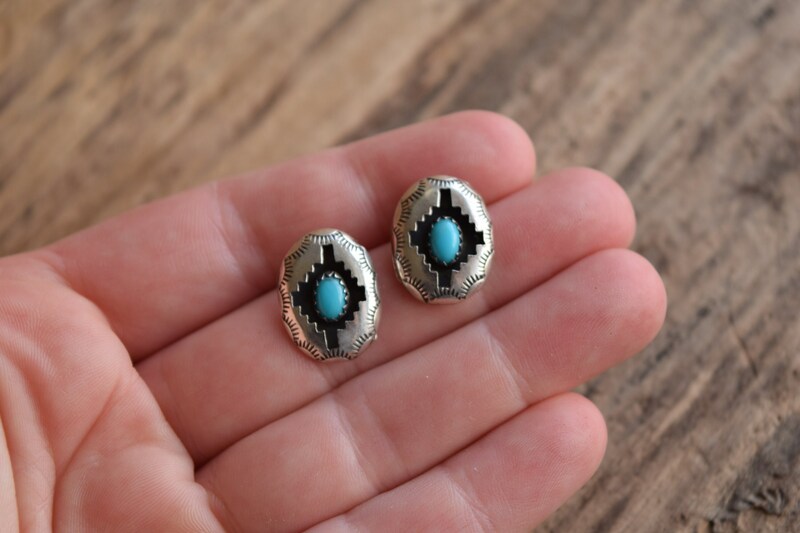 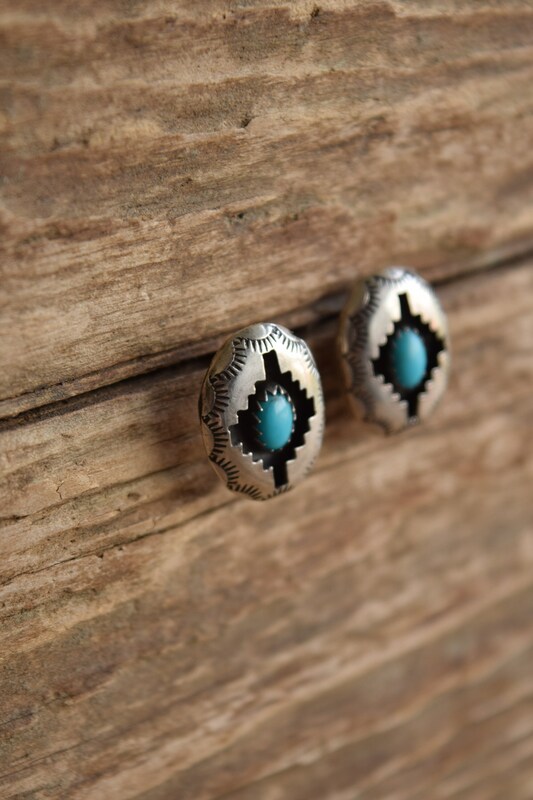 They're perfect for southwestern and turquoise lovers and even the cowgirl at heart. 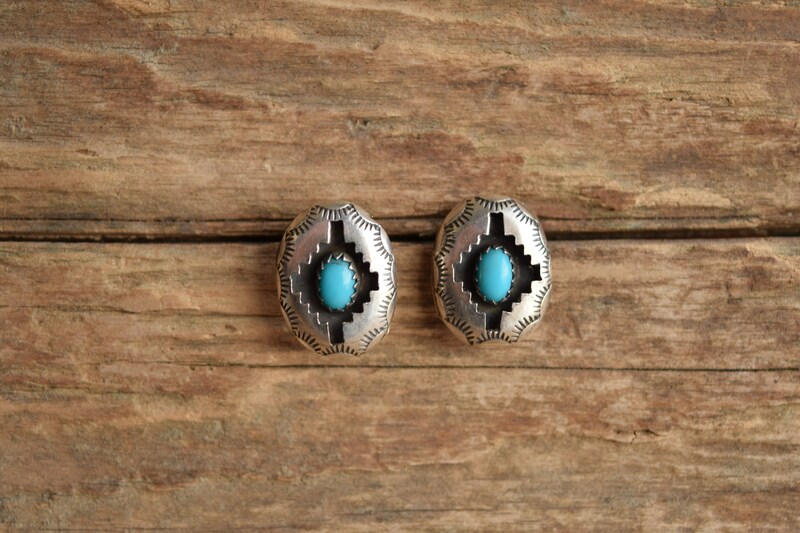 Condition: Excellent, with typical surface wear from age and light use. 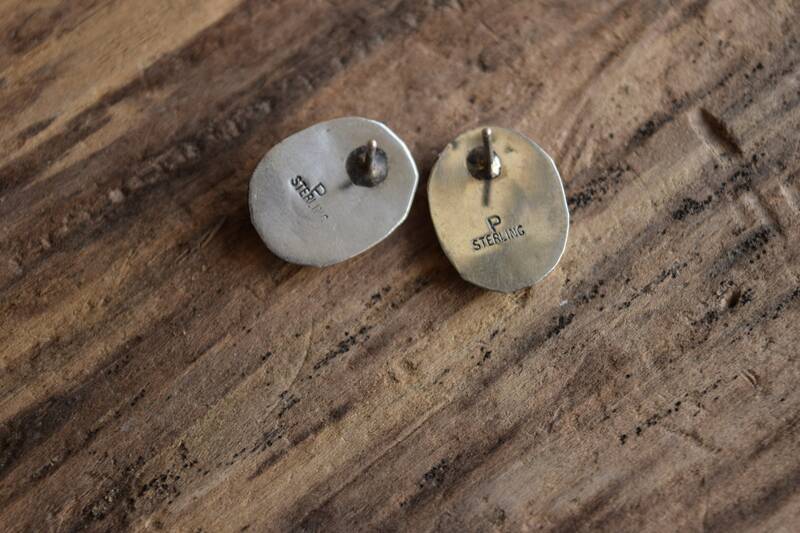 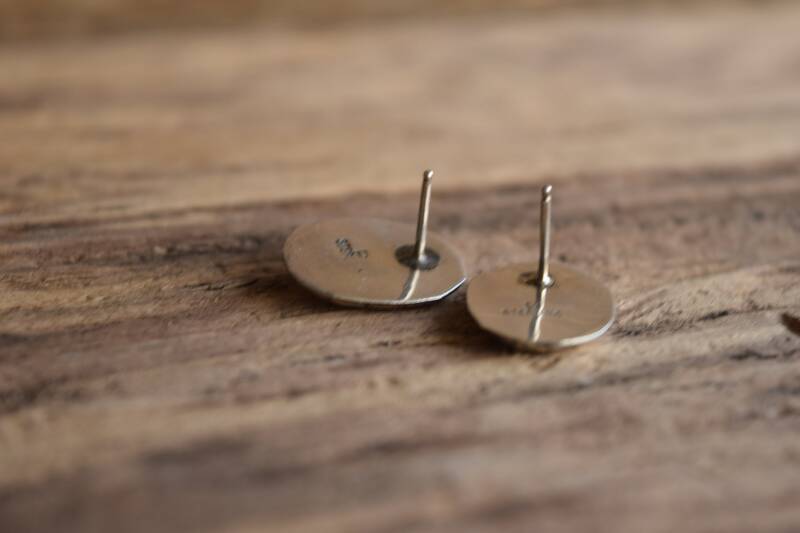 We've polished and sanitized the back side of these earrings and include earbacks for wear.